There are numerous ways to learn home staging and virtually all of them are relatively fast and effective at providing the skills you will need in order to get ahead in this creative and rewarding career path. Home stagers are enjoying a real growth spurt in the real estate industry right now, with opportunities being greater than ever before for career advancement and financial success. Now is the perfect time to undertake a home stager training program and acquire the knowledge which will put you on the fast track to prosperity in a new job. This tutorial details the often confusing process of learning property staging, including the vital skills of real estate marketing and interior design. Remember, to be an effective home stager, you will need all these skills in order to achieve your client’s goals of selling fast and for maximum profitability. The most common ways of becoming a home stager are by graduating from a home staging school or an online home stager course. These options are responsible for fueling the industry with more new stagers every year than the other choices in property enhancement education. Mail-order home-study programs consisting of books and videos are the next most popular choice. Finally, some lucky stagers-in-training land apprentice or intern positions with established companies and receive paid on-the-job training while working with real customers. Whichever educational method you choose will certainly set the tone for your career development, so be sure to select the best option for you and the one which will provide the most comprehensive course of study possible. Once you graduate from a training program, you will be accredited by the institution which taught you. 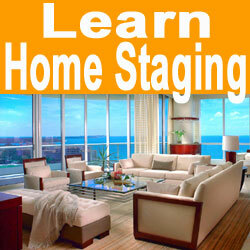 You will become a certified home stager, but then what? You should investigate what each individual school might do to help you find a job, prior to signing up for any particular staging course. 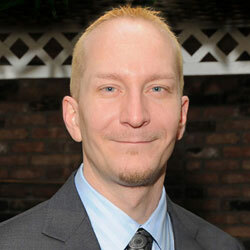 Some schools are affiliated with large staging companies and will offer job-placement assistance for graduates. Other schools are run directly by staging companies and will guarantee a job to all graduates. This is the best possible option, especially if you are worried about beginning your new career in this tough economic climate. I know stagers who have built successful careers and businesses with all types of training under their belts. Some of the best were already working in the industry, using self-developed skills, long before there was such a thing as formalized training. There are no rules for defining the best path to staging stardom. There is only the best path for you. Take some time and thoroughly investigate your many options. Once you get a good feeling about the right training for you, go for it and don’t look back. You will have to work hard, but once you graduate, you will be ready to start over in an exciting and interesting new profession: home staging. My acclaimed book, Learn Home Staging provides the solid foundation knowledge that all stagers need and will get you started in a great new career path!